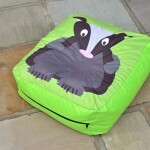 Fantastic woodland creature outdoor bean cushion perfect for use outside or colourful indoor bean bag seating. British designed with quality workmanship. 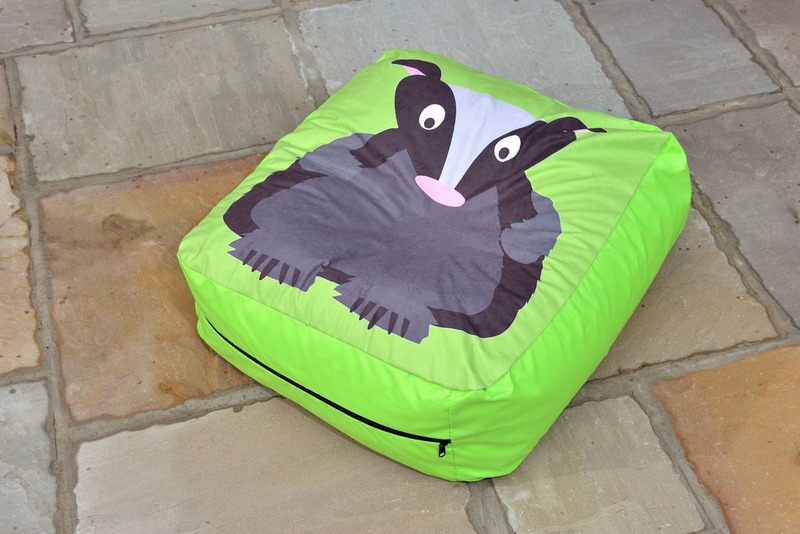 Manufactured in top quality outdoor grade nylon and polyester fabrics which are strong and durable. Lined with a 2oz nylon inter liner for security of the beans. Easy wipe clean fabric, just sponge clean with warm soapy water or remove and wash at 40°C.